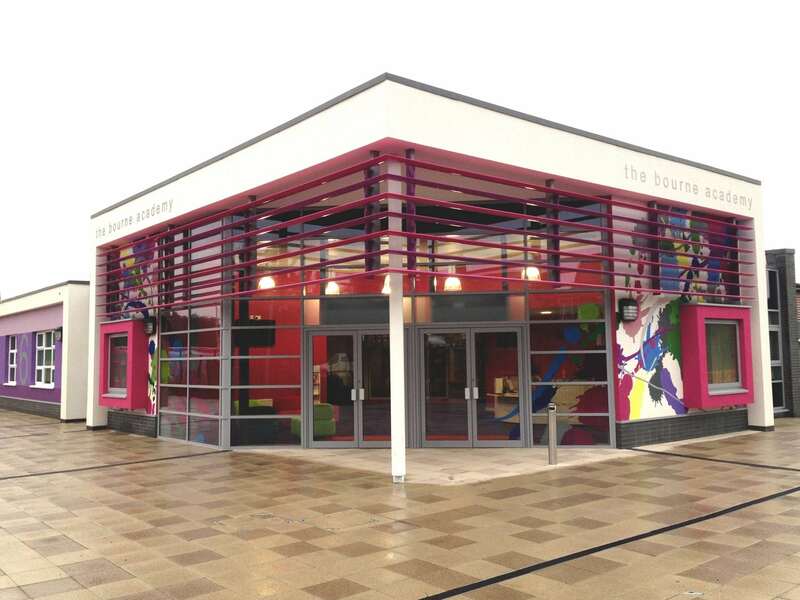 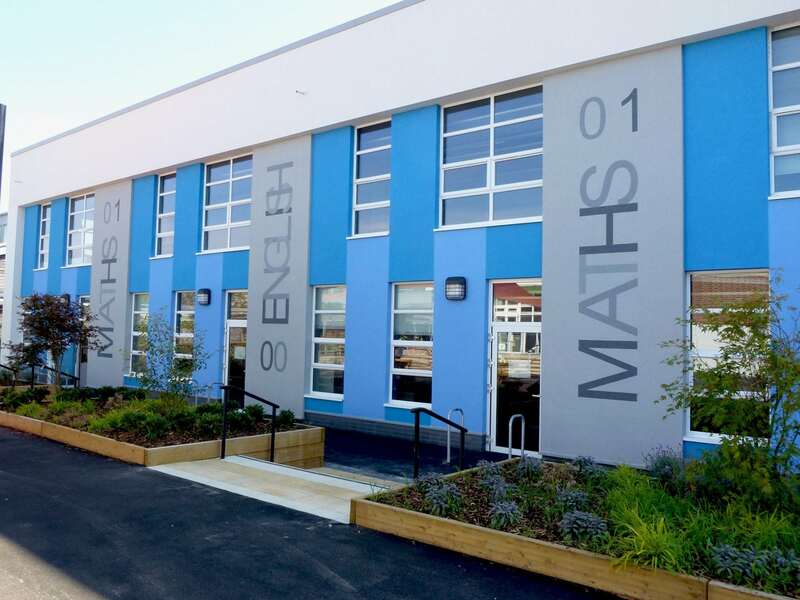 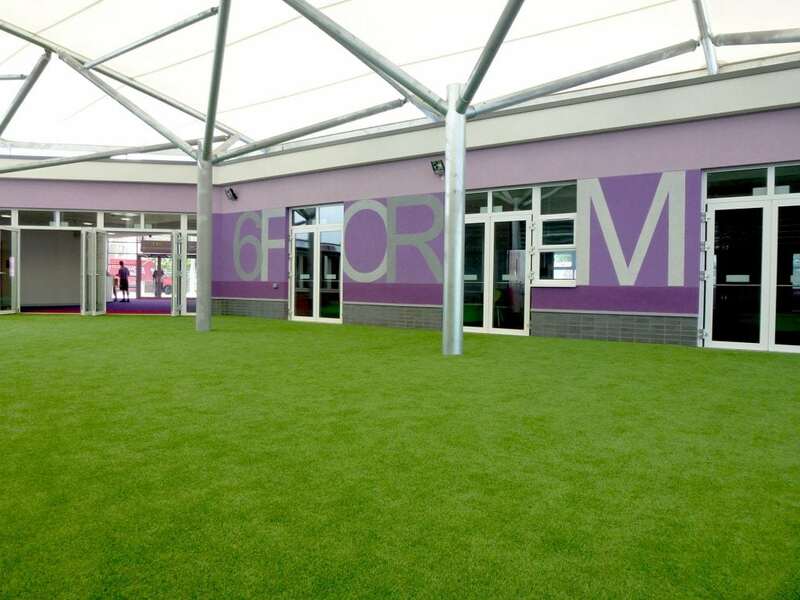 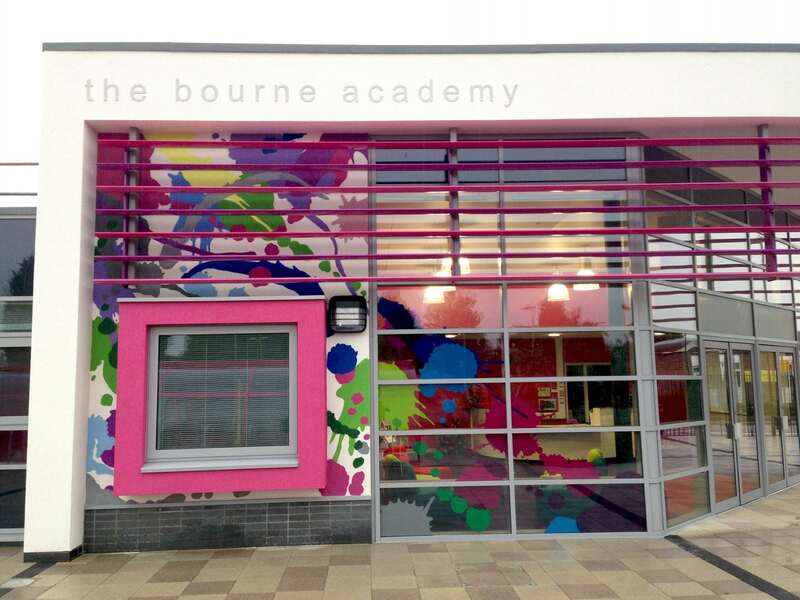 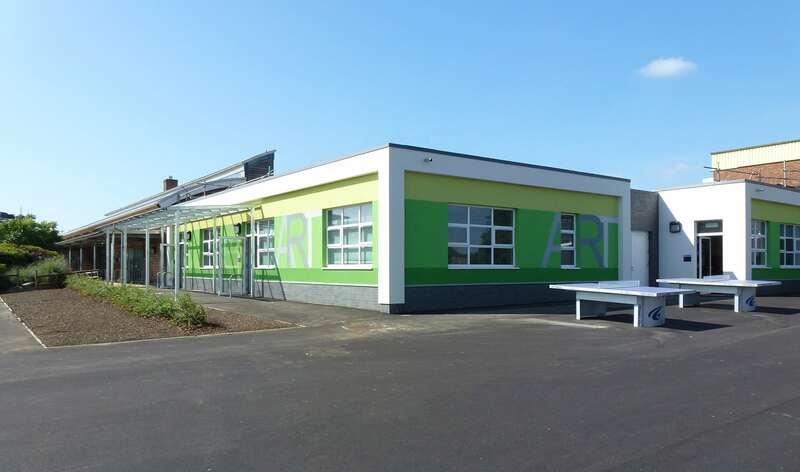 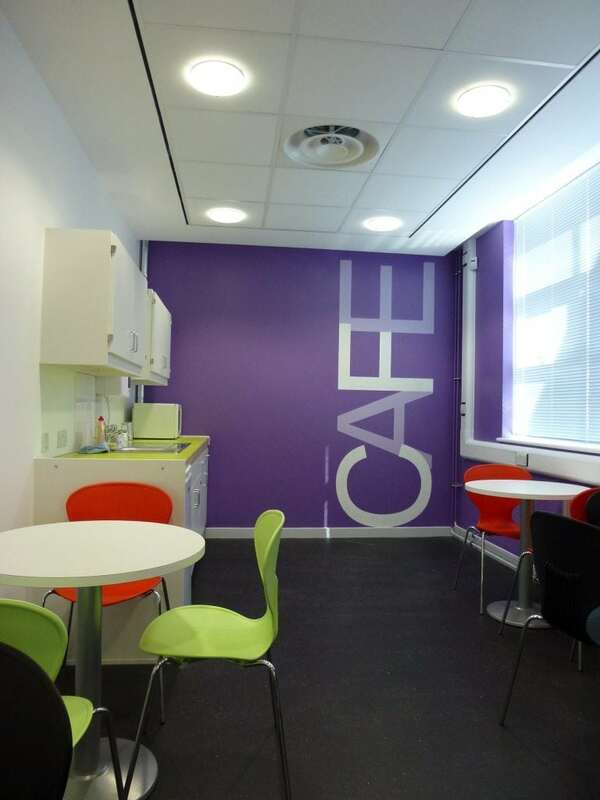 We were commissioned by Balfour Beatty to add the finishing touches to their £15m Bourne Academy project in Bournemouth. 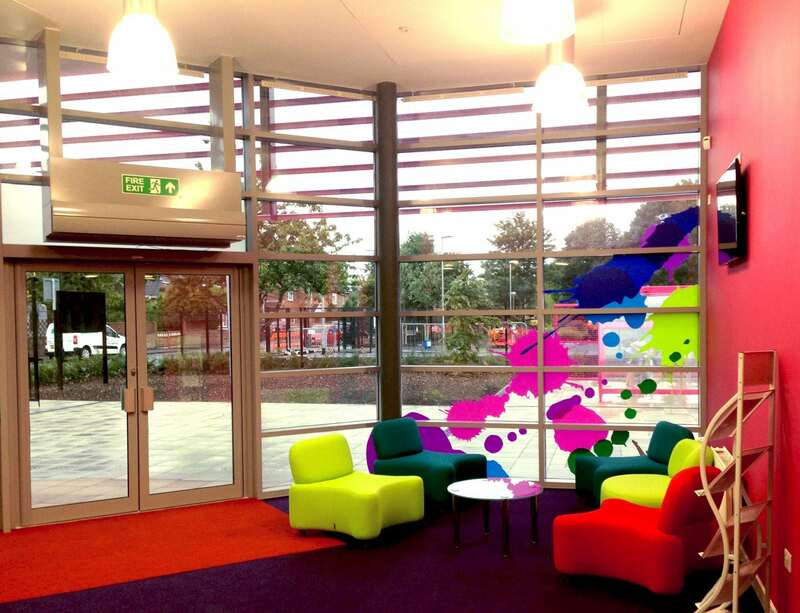 We created feature murals on the outside walls of the new reception area, enhanced by bringing the bright coloured large-scale paint splats onto the glass panels with the use of translucent vinyls. 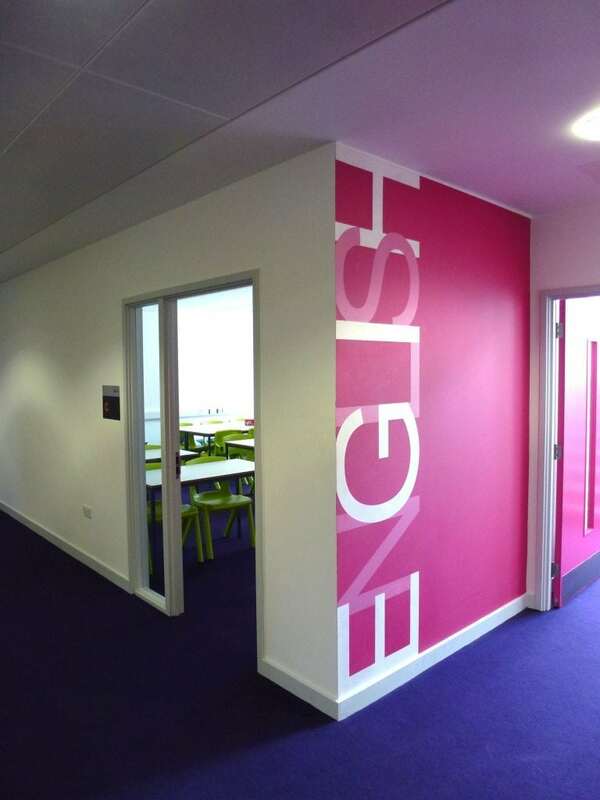 This created a synergy with the exterior and interior. 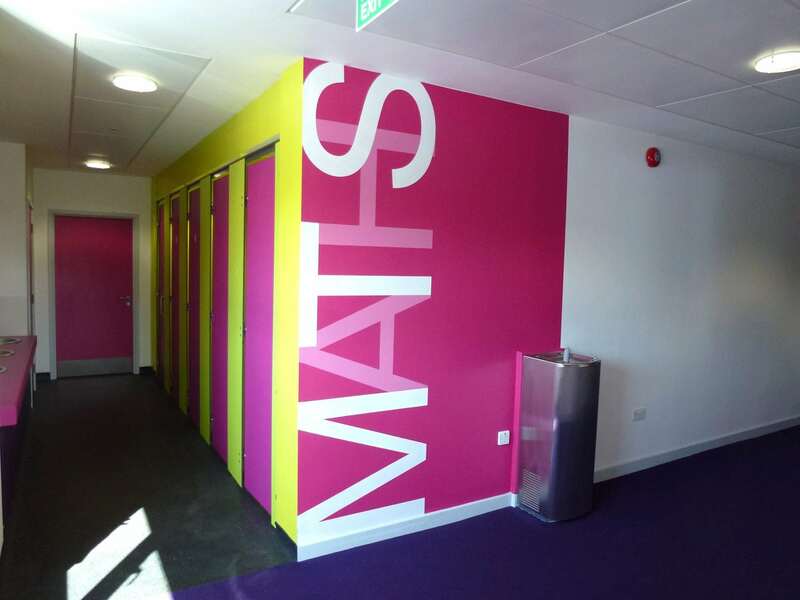 We also painted large name graphics on the teaching blocks throughout the academy, both internally and externally – not just as a design feature, but also to make it much easier for students to navigate their way around the site.